Teamed with design, copy forms the foundation of your brand. Your website needs to look good and your words need to connect with your audience. How they view your brand will depend on which words you choose to promote your products and service. Product copy plays an important part in your conversion rates, and not simply for SEO purposes. How you describe your products will resonate with your customers. Product copy needs to convey the benefits to the consumer; how they need the product in their lives and how they won’t be able to live without the product! With a wealth of information at their disposal and so many websites available, consumers will scan through your product pages. 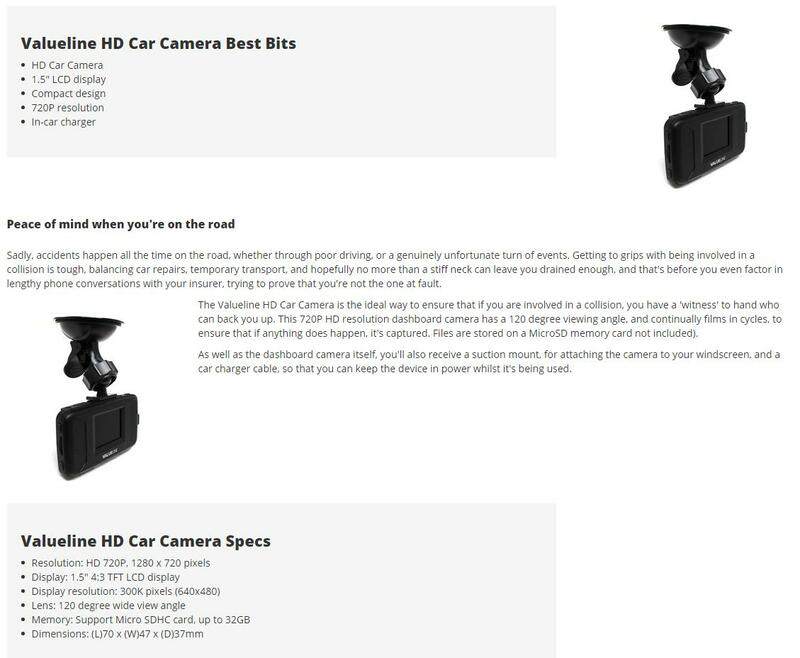 Imagery and copy alignment can play a big part in how easily a consumer scans your page. Depending on the development platform or template you are building your store with; product images should be placed to the left of the page with product copy aligned to the right of the image. It goes without saying; your most important information should appear at the top of the copy. This is then usually followed by bullet points displaying the main features of the product. Humanistic – They respond well to story-based marketing. Gizoo – the gadget retailer, do a great job of copy description and layout. They introduce the product with the key product name, sell the story, introduce bullet points, sell the story again and then introduce added extras - hitting each buyer type along the way. Use words that excite the reader. Be overly descriptive and use alliteration where possible. Words evoke emotions. We’re not saying they’ll work with every reader but having a consistent upbeat tone of voice across your products will create a recognisable connection with the consumer. Consumers rely on honest, reputable and affordable ecommerce business. For example, your ‘About Us’ page needs to sell your brand story. How will consumers know if you don’t tell them? This isn’t the time to pen a novel, but start with your history and how you’ve come to trade today. Short sentences and small paragraphs will allow readers to scan the content easily.